My Orange Brompton: I finally go clipped in on my Brompton...again!! Quite some while ago I bought some M540 Shimano clipped in pedals but abandoned them not long afterwards. For reasons I won't go into I was put off them, couldn't get used to them and if truth be told wasn't really ready for going clipped in - if that makes sense. I have done a great deal of riding since then and seen lots of my friends...fellow Bromptonians go clipped in. I have watched with interest and listened to their findings. I decided to take the plunge...again. 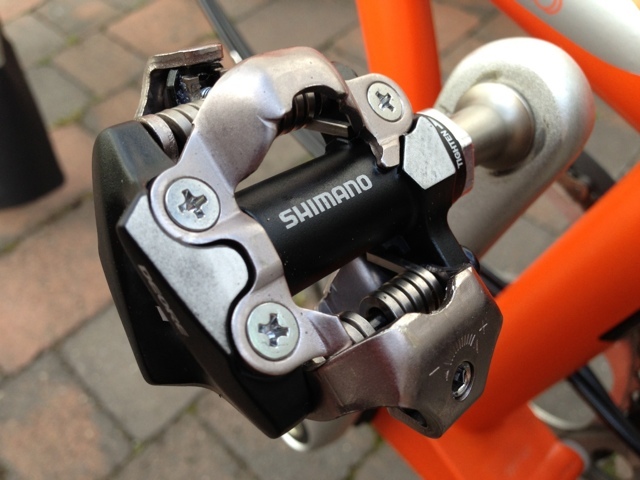 I bought a pair of Shimano M780 pedals. 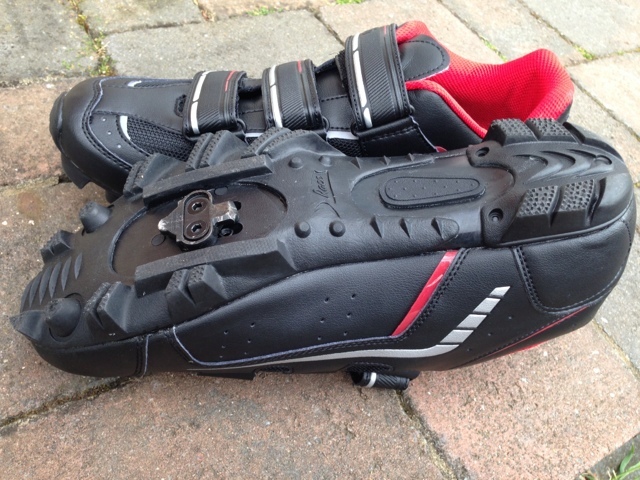 They have a double sided entry, adjustable tension for the release of the cleats and weigh only slightly over 350g. Fitting them was easy and they look rather fetching I think. Comparing them to the M540's I briefly owned then look and feel better. There was a big difference to the purchase of these pedals compared to the last pair of clipped in ones I bought all those months ago. Last time I was almost nervous. Putting them on I was having doubts. Going out for a ride on them for the first time I felt unsure, uneasy and wasn't confident. This time things were very different. I was eagerly awaiting their arrival. I was happy to put them on and did so much easier than I had the last time (perhaps due to all the maintenance jobs I am now able to do). Going out for a ride using these new pedals I felt much happier. I enjoyed using them...I liked them! I rode a 5 mile route near my home that has a fairly steep hill. I have to say that ascending it with clipped in pedals and my new DHB shoes with a much firmer platform, all worked in conjunction with one another to make things not necessarily easier but more efficient. I certainly felt I was using less energy. 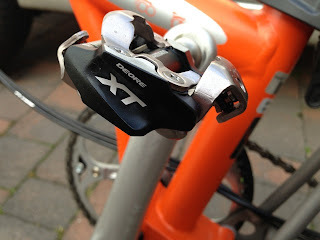 It is very early days but at this moment in time I cannot foresee these pedals coming off my Titanium Orange Brompton. The shoes I bought along with the pedals are by no means the most expensive and are at the starter end of the market at £42. They have however been favourably reviewed and are supposed to punch well above their weight. DHB mountain bike shoes so that I can walk in them! At the budget end of the market but I think they are rather good. It will be interesting to see how they both feel and perform on some of the longer rides I have planned. 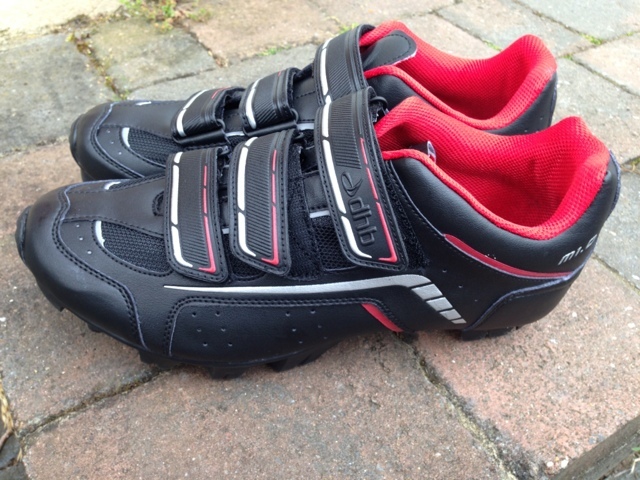 As for them making me go faster...I suspect they will help on hills and aid with efficiency. Unlike last time I am looking forward to using them and that cannot be a bad thing. Wise choice!.. 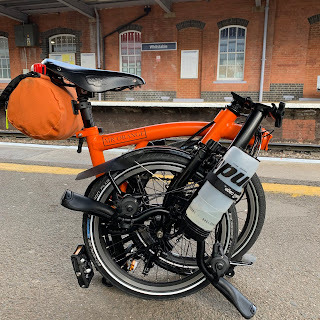 I don't think you will regret them,expect a few mishaps, I still have troubles with my feet, it causes many chuckles.They finish "The Orange Brompton" with panache and style. 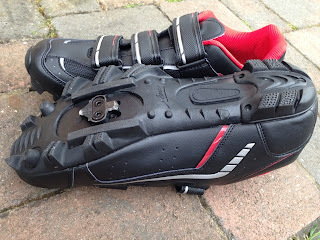 regarding clip in pedals- i, too, succumbed to the clip in pressure. however, i find they (shoes and pedals) make my feet numb after 1.5 hours, and i have tried many different combinations. the time i fell while clipped in was way worse than my few other spills. i feel it is much more important to obtain an speed efficient pedal style, and use the minimum of tech. there's some interesting stuff out there- power grip straps and mini toe clips, for a few. for Brompton and clip-pedals - how about the "marresi eroica" shoes?